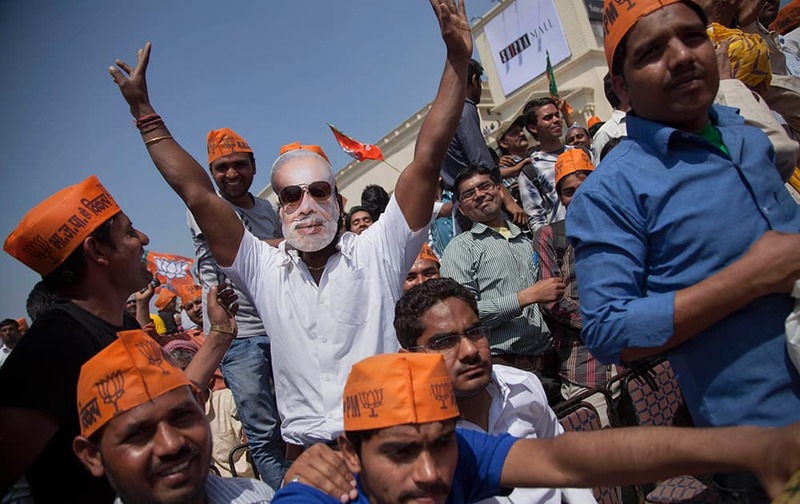 A supporter wears a mask of Narendra Modi at an election rally attended by him in Vaishali, Ghaziabad. 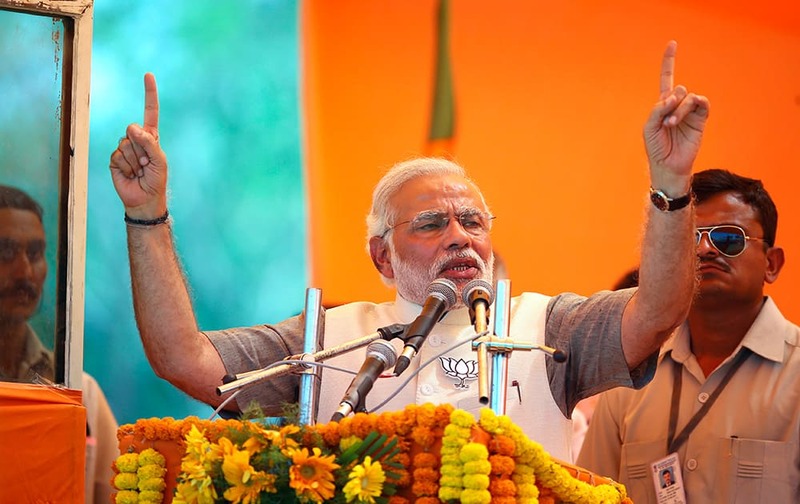 Narendra Modi gestures as he addresses an election rally in Vaishali, Ghaziabad. 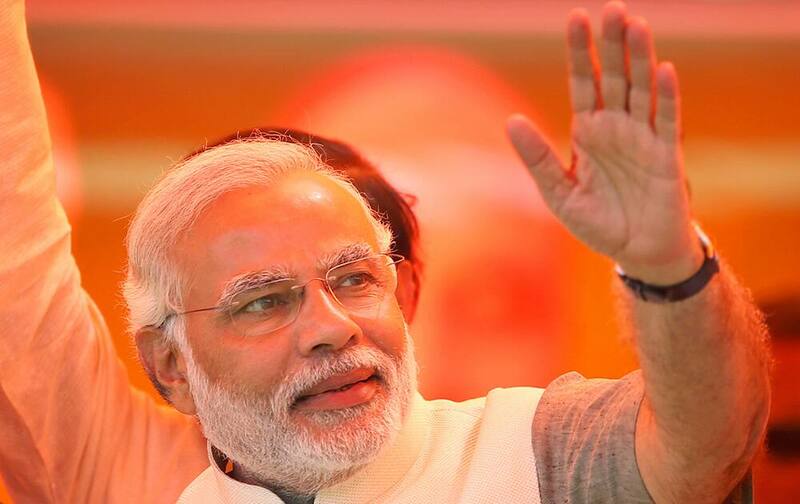 Narendra Modi greets his supporters as he arrives to address an election rally in Vaishali, Ghaziabad. 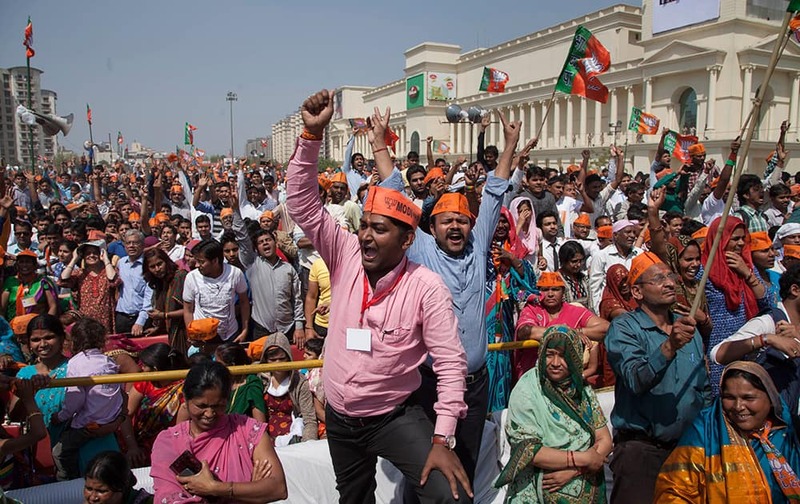 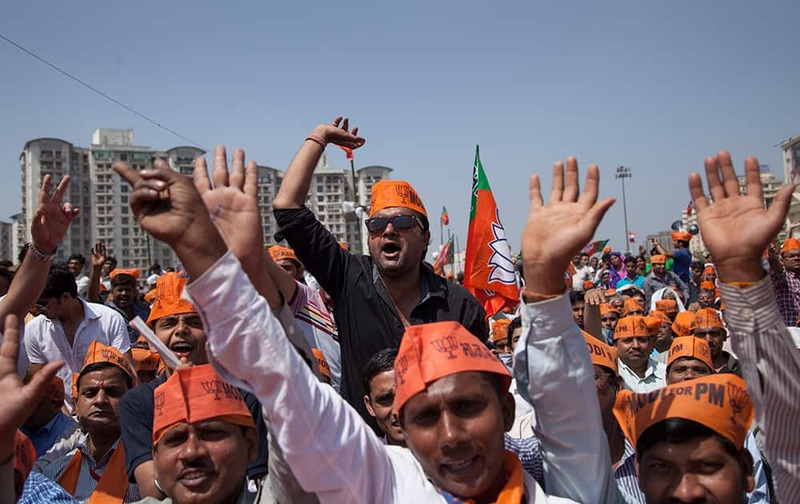 Supporters shout slogans during their prime ministerial candidate Narendra Modi`s election rally in Vaishali, Ghaziabad. 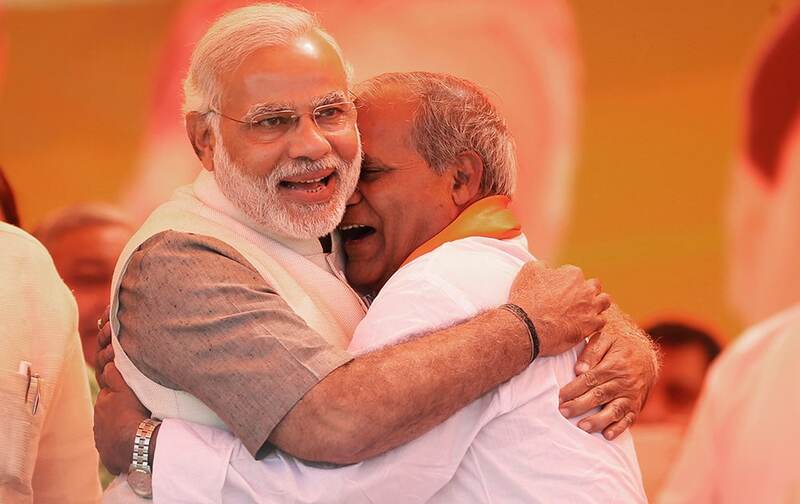 Narendra Modi is hugged by a party leader at an election rally in Vaishali, Ghaziabad.